Mississauga, Ontario, August 20, 2013 – Armada Data Corporation’s President & CEO James Matthews is very pleased to announce the first of several value-add partnerships beginning with Imperial Oil’s ESSO division and Armada’s flagship ecommerce website, CarCostCanada.com. ESSO and CarCostCanada’s corporate sales department negotiated a fuel savings program for all CarCostCanada.com members that will entitle members to save $0.03 per litre every time they fill up at ESSO. “The addition of ESSO to our Partners & Discounts program will not only provide additional significant savings to our members, it offers more credibility and incentives to buy into the vehicle Wholesale Price Report space prior to purchasing or leasing your next new car or truck” said an elated Matthews. It is important to note that every CarCostCanada member is entitled to take advantage of this fuel savings offer however, there is an application process where the member must be approved by ESSO’s credit department. 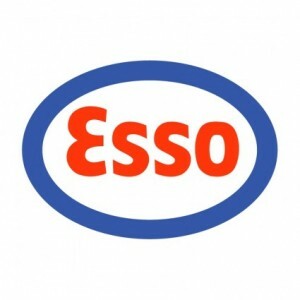 The CarCostCanada member will receive, upon credit approval, an ESSO Fleet credit card where the savings will be reflected on the monthly statement. Robin McLeod, CarCostCanada’s Corporate Sales Executive, was instrumental in building the relationship between the two organizations and quarterbacked the agreement between ESSO and CarCostCanada said “The affiliation makes nothing but good sense; CarCost is a service that saves car-buyers money on the purchase of their new car…..the ESSO partnership supplies another avenue of savings for our members that is directly related to their new vehicle”.